For the first time, we can give you an idea of the size and layout of the clubhouse building. The picture above shows the view across the full width of the main open area, with (from left to right), club shop, storage cupboard, kitchen. 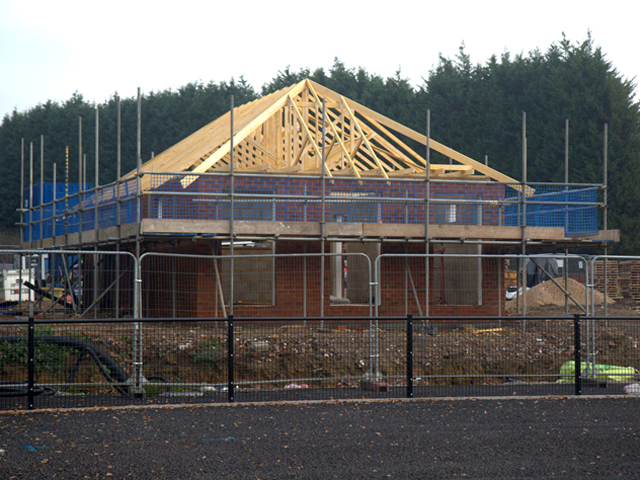 The main pitch is on the left and the partially finished roof you can see is to the ancillary building. 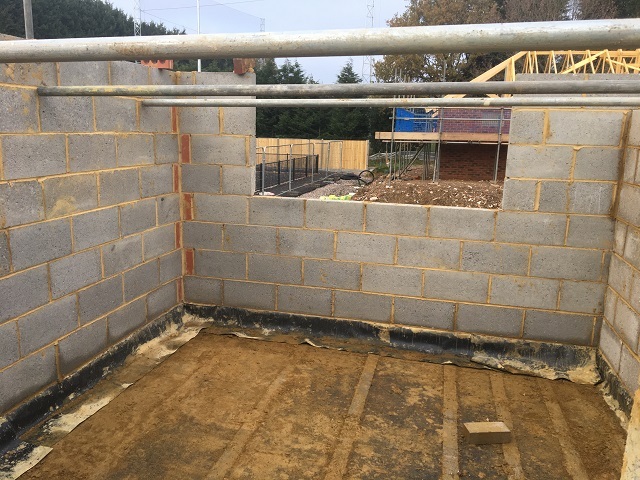 A similar view taken from where the bar will be and looking over to the widest wall in the middle where the widescreen TV will be positioned. 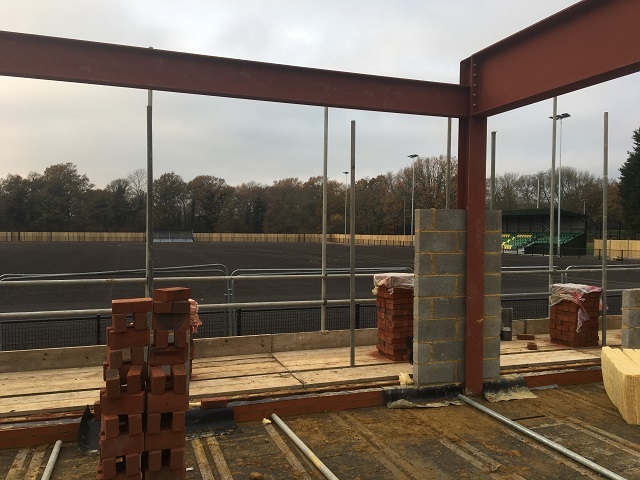 View from the front of the clubhouse looking out onto the pitch. 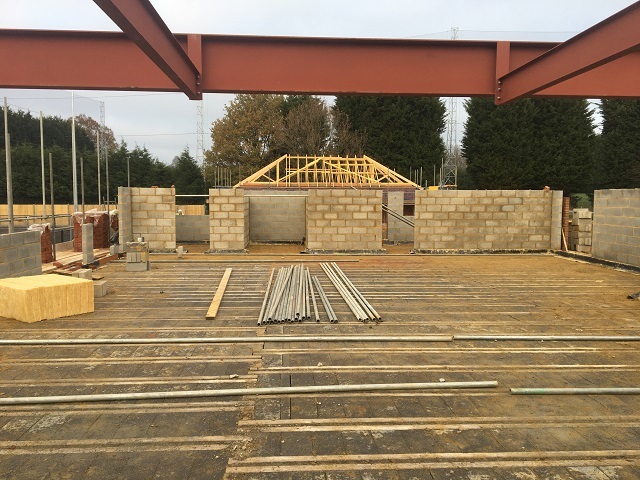 The area in front of the clubhouse will be raised above pitch height, giving an excellent viewpoint. Interior of the club shop, with serving window facing towards the ancillary building. 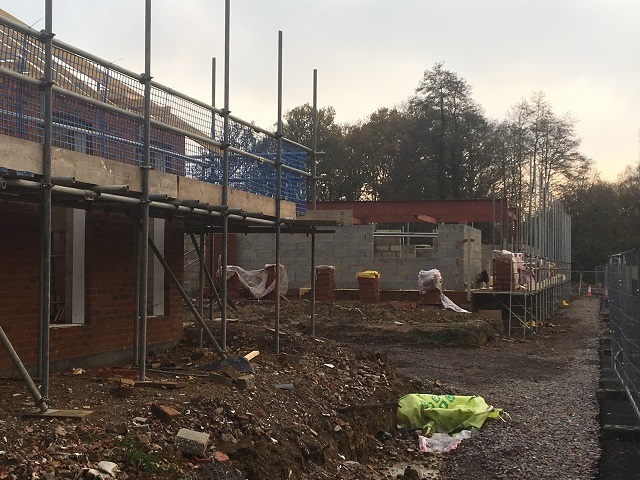 View of the clubhouse from in front of the ancillary building (doors to toilets visible). 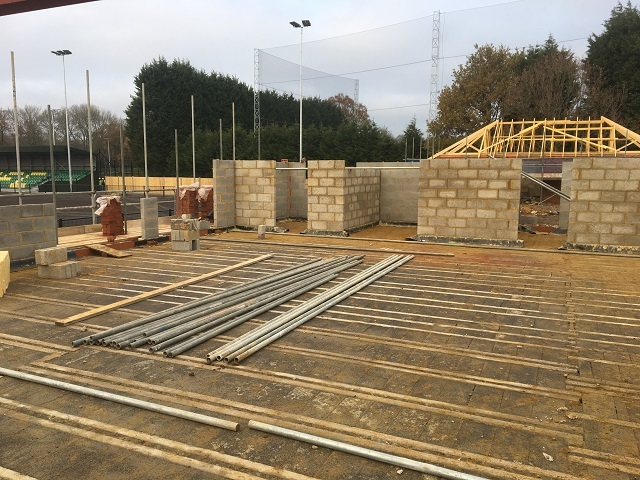 The area in front of the toilets (and in front of the clubhouse) will be raised above pitch height. The large window in the nearside clubhouse wall is the club shop serving hatch. Full view of the ancillary building. I’m first in the bar queue. Pint of Pride please, John! love the progress, all looking very good. roll on next season. Looking forward to seeing the finished ground.